1. Mobile Self-Checkout- Being able to walk into a store and complete a purchase without ever needing to go to a register or talk to a clerk is something that is nirvana for many consumers since it saves time and puts the consumer in control of their shopping experience. Mobile technology is quickly helping this become a reality by allowing consumers to use mobile devices for self-checkout. In fact, according to a survey conducted by Sterling Commerce and Demandware, two thirds of shoppers are interested in using mobile devices for self-checkout. 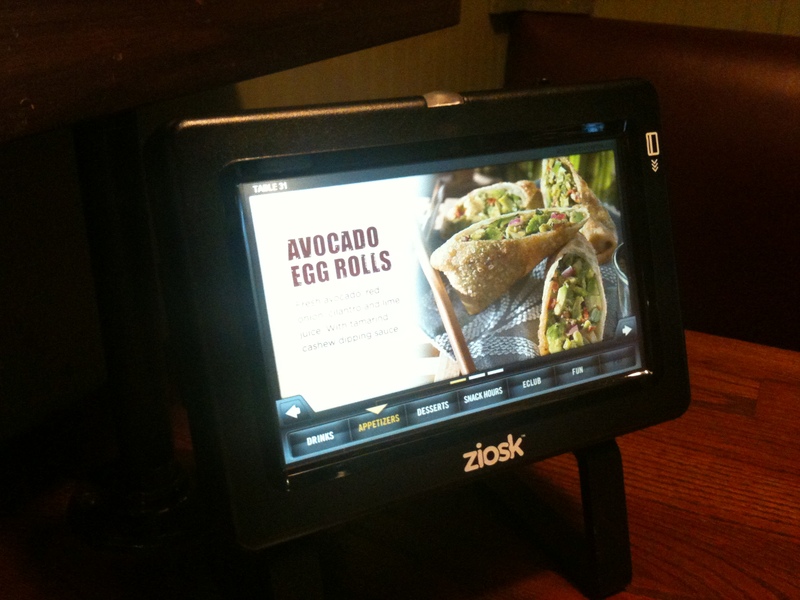 While it will take some time for the non-tech savvy, “average” consumer to get equipped (i.e. purchase a smart phone, download the necessary app, etc.) and for most retailers to optimize their infrastructure to make mobile self-service checkout a reality, we’re not far off from consumer self-checkout using mobile devices being a normal part of the shopping experience. Consumers are already used to the concept of self-service checkout (i.e. Home Depot self-service checkout lanes), as well as seeing in-store clerks using mobile devices to check out customers (i.e. Au Bon Pain’s use of the iPad for checking out customers). Another example: I was at Pizzeria Uno the other day with friend Joe Eldridge of VisibleGains, and we used our credit card to self-pay our bill right at the table using a self-service checkout station. In the future, I’ll be able to self-checkout via my mobile device, as well as place my food order, check on how the order is doing, etc.. This same concept would apply to purchasing other types of products as well, such as toys, hardware items, paper goods, etc.. In fact, vendors such as AisleBuyer are on their way to making the concept of mobile self-checkout a reality. 2. Mobile collective buying- The main problem with advertising on mobile devices (and in general) is that it’s disruptive, often causing the consumer to block it out or just selectively listen, thus limiting and sometime completely negating the intended purpose of advertising. A consumer’s willingness to grant retailers permission to notify them on special deals, especially ones that are custom to the consumer’s preferences, is something that is a win-win for the consumer (save money and get stuff you need/want) and the retailer (higher likeliehood of the message getting through and converting the customer). The most intriguing trend is “collective buying”, most notably with a service like Groupon. With Groupon, consumers can be notified, purchase and redeem time-sensitive discounts at local businesses directly on mobile devices. Consumers can also search for nearby deals via GPS, track all purchased discounts by location, and (my favorite feature), go completely paperless– no need for clipping coupons or remembering to bring rebate forms to the store. 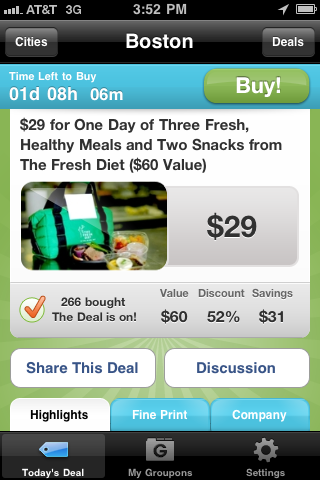 For someone like me it’s a great way to shop since I shut out most advertising, but look forward to seeing what the deal of the day and other deals are that I can take advantage of on my mobile device. Because it’s permission-based, social and made convenient through my mobile device, I’m also more likely to use it. Groupon has done extremely well in a short amount of time, achieving a valuation of $1 billion and driving $11 million in sales with a nationwide deal at the Gap. Other services similar are likely to come to market, helping to transform the shopping experience. 3. Location based services- Location based services have been all the rage in 2010, with Foursquare adding 3 million users since it’s inception, and other services such as Gowalla and Loopt also having success. Facebook has also gotten into the mix with it’s own service, Facebook Places. But most people I know still struggle to see the value. This is mainly because it’s early in the lifecycle and most businesses have just started to figure out that location based services can help drive in-store purchases and customer loyalty. For example, Starbucks rewards it’s customers who check-in using Foursquare with a “Barista Badge”, with meaningful rewards such as invitations to special events, discounts, and online reputation scores. Other retailers offer loyalty reward programs for check-ins, such as Tasti D-Lite and Boloco, who gives rewards cards to mayors of their store locations on Foursquare, allowing them to get free burritos on Mondays. And we’re just at the tip of the iceberg on what’s possible with what location based services can bring to the shopping experience. Location based services become even more powerful when they combine personalized and permission-based real-time notifications for rewards at local establishments. For instance, if the geo-location service knows you like Red Bull (since you told it you do), it can notify you via your mobile device when it detects (via GPS) that you’re passing by a store that is running a special deal on Red Bull. Or perhaps you are the Mayor at a Boloco near where you live and are traveling, the geo-location service can notify you when you are nearby other Bolocos so you can stop in and take advantage of free burritos (yes, Boloco is a great example). Social gaming within location based services as central to the shopping experience also has a lot of potential, already proving successful with location based service, SCVNGR. Business owners and retailers can encourage customers to take special actions (“challenges”) to earn points or rewards, thus encouraging not only visiting and shopping at the venue, but also sharing the experience with others. While there are certainly challenges facing geo-location services (widespread adoption, fragmentation across many services), it is not a fad and is here to stay since discerning a consumer’s location helps close sales with improved targeted marketing– something that has alluded marketer’s in the past. What do you think? Are there other mobile trends out there that you think will change how we shop? 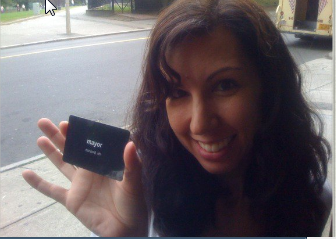 Great post and thanks for including the picture of me and my coveted Boloco mayor card! I am a big foursquare fan, but have used other LBS such as Gowalla and Facebook Places. While I sometimes choose to check in via Gowalla, I tend to focus on foursquare predominantly because of its gaming aspects. Who doesn’t want to be the mayor of something? It also seems that more merchants are getting involved and offering specials to foursquare users – Boloco is a great example of this. Good post Gary! Succinct, forward thinking, and right on the money!